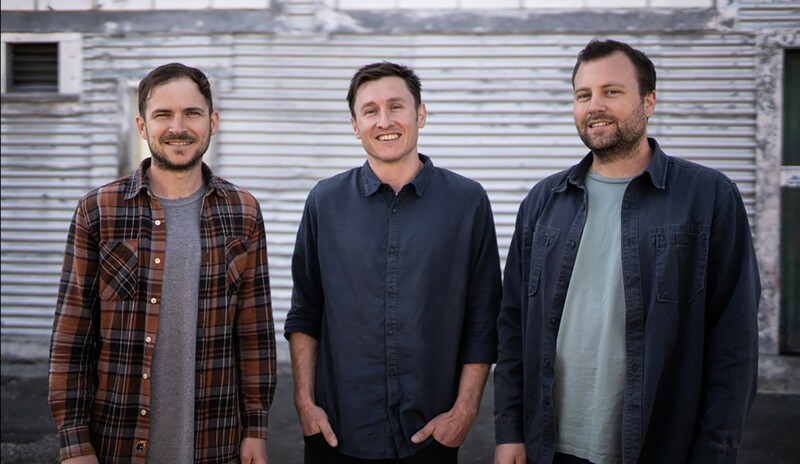 Will Innes and Henry Lyons are the newest kids on the block at the Tech Collective in Bridge Street, Ahuriri, with their marketing consultancy startup FOLKL (pronounced like a cross between folk, focal, and local). In true startup fashion, like a scene from Flight of the Conchords or Silicon Valley, they don’t have their own office yet so their desks are in the corridor. Fortunately, their corridor-office is right next to the café, so coffee is readily available. In the world of startups and incubators, we always hear about the importance of the ‘elevator pitch’ – the 30-second summary you give someone when they ask you what your company does. I ask Henry and Will what their pitch is. They admit they don’t have one – and they are not fazed by it. Henry even jokes that the whole concept of elevator pitches is a symptom of a dysfunctional industry, and this “cookie-cutter” approach to marketing is exactly what they are working to overturn. While FOLKL is a brand new business, Will and Henry are no newbies in the marketing world. The idea for the business came about from what they learned while working together for ten years at advertising agencies. They were frustrated with the structure of the business model, and the emphasis agencies were putting on ‘big data’ technology-led, quantitative approaches to marketing. Henry and Will believe that using human-centric research, asking people the right questions – and listening carefully to what they have to say – should lead. And this is the common approach across all projects they work on. What are they working on at the moment? They tell me they are working with a mix of businesses and organisations across different sectors; from product development and community research, to digital marketing. A lot of it is confidential and they can only give me broad details. Recently they’ve been developing an e-commerce strategy for an established Wellington-based fashion label. In line with FOLKL’s human-centric approach this doesn’t mean just analysing market and sales data; they also conduct in-depth interviews with staff and customers, and they have analysed the role that digital media plays in how this company’s customers make purchase decisions. The digital landscape is constantly changing, so FOLKL are engaged on an ongoing basis to ensure that the solution is of maximum relevance to both the customer and the business. The long-term plan for FOLKL is to change fundamentally the way businesses and organisations gather feedback and make decisions. For example, by canvassing a much wider range of opinions, making fewer assumptions and bringing a more nuanced approach to research, creating better communication between businesses and their customers, involving people much more in decision-making, and moving businesses beyond their current preoccupation with reducing people’s opinions and behaviour to numbers in a spreadsheet. Now it sounds like an elevator pitch is emerging, but that’s a lot of stuff to fit into a 30-second spiel! In addition to years of industry experience, both Henry and Will have strong academic backgrounds. Will has a double degree from Victoria University in marketing, sociology, media, and film, while Henry has just completed a Master’s at The London School of Economics and Political Science, where he continues on as a PhD candidate. His thesis was on the impact of digital media on the politics of an inner-city London community. In this era of fake news, falling voter turnouts and Russian election meddling, this sounds like extremely important work. And Henry’s London connections mean he is still part of WARC, the World Advertising Research Centre. This gives access to a massive amount of data about the latest trends in media consumption and consumer behaviour from around the globe. Given their big-city experience and global outlook, I ask them why they have chosen Hawke’s Bay as the base. Both of them are from here, they love the lifestyle, and they refuse to accept that you can’t run a modern business like theirs from somewhere like Hawke’s Bay. Two weeks ago, the team expanded to include Bradley Minton, who has a diverse business background that includes roles in the financial, fashion, and food sectors. Like most new business owners, they don’t have a great deal of spare time. Will has a two-year old and likes to go to Waimarama. He says he enjoys surfing, although Henry has never heard about Will being a surfer before. Henry is learning the Greek language. They both love cooking. They seem to be enjoying life, although they are clearly working very hard. Henry says it’s especially pleasing to see that the human-centric approach to research that they both worked on in their academic careers – and predicate their business on – is actually working in ‘real life’ here in Hawke’s Bay and beyond. And they’ve discovered a lot of local businesses doing great work with an international focus. This gives them a great deal of hope for the future of the business. With FOLKL’s access to global insights and their innovative approach, it looks like Hawke’s Bay will be well-served with a distinctive source of marketing advice. Matt Miller co-owns web company Mogul Limited, based in Havelock North, but serving clients around the world, including BayBuzz. His beat for BayBuzz is digital trends and cool businesses.